With Claudia Schaefer. "From Utopia to Uchronia: After-images of Revolutionary History in Contemporary Mexican Film." Studies in Spanish and Latin American Cinema, vol. 13, no. 2, Jun. 2016, pp. 137-57. 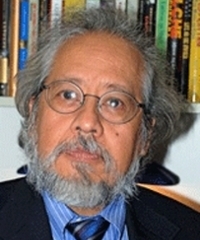 Ingenta Connect, doi:10.1386/slac.13.2.137_1. With Claudia Schaefer. "Magic Mexican Modernity: The Shifting Image of Witches and Witchcraft in the Movies." The Supernatural Revamped: From Timeworn Legends to Twenty-First-Century Chic, edited by Barbara Brodman and James E. Doan, Fairleigh Dickinson UP / Rowman and Littlefield, 2016, pp. 97-114. With Claudia Schaefer. "The Sublime Vampire: Transparency, Melodrama, and the Mise-en-Scène of Two Mexican Vampire Films." The Universal Vampire: Origins and Evolution of a Legend, edited by Barbara Brodman and James E. Doan, Fairleigh Dickinson UP / Rowman and Littlefield, 2013, pp. 225-38. "Seduction, Constellation, Illumination: The Afterlife of Walter Benjamin in the Writings of Sergio Pitol." ﻿Benjamin in Latin America. Spec. issue of Discourse﻿, vol. 32, no. 1, Winter 2010, pp. 117-37. JSTOR, www.jstor.org/stable/41389833. 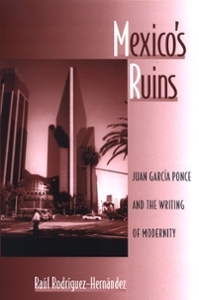 Mexico's Ruins: Juan García Ponce and the Writing of Modernity﻿. State U of New York P, 2007. SUNY Series in Latin American and Iberian Thought and Culture. "All Streetcars Are Named Desire: The Lost Cities of Juan García Ponce's Personas, lugares y anexas." New Centennial Review﻿, vol. 5, no. 3, Winter 2005, pp. 35-64. JSTOR, www.jstor.org/stable/41949491.